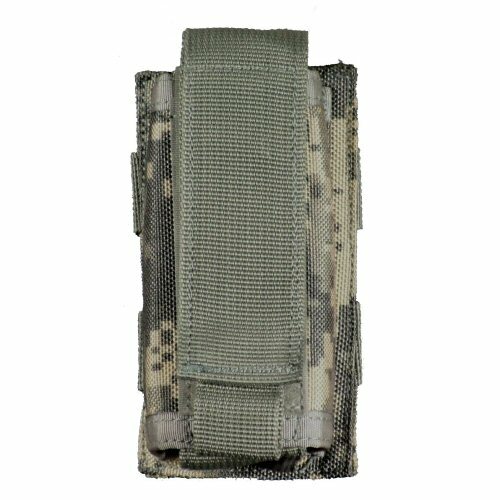 The Bulle MOLLE 40mm grenade pouch is specifically designed to take 40mm diameter shells, such as airsoft 40mm shells, 37 and 40mm baton rounds and 40mm launchable grenades. 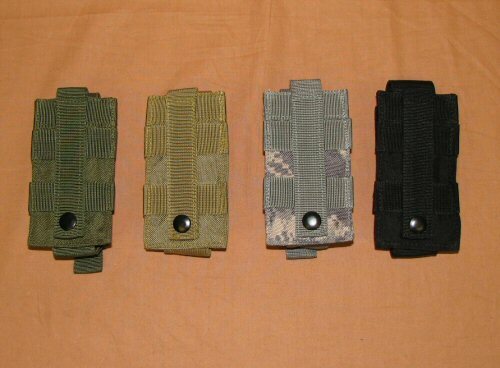 The 40mm grenade pouch closes with velcro and its webbing-based construction makes the pouch stable for re-fitting of the shells in the pouch after use. The bottom of the pouch is supported with a loop of webbing, allowing for excellent drainage on either side of the shell. The velcro flap is adjustable for heights up to 140mm, but it is optimised for shells which are approximately 105mm tall. 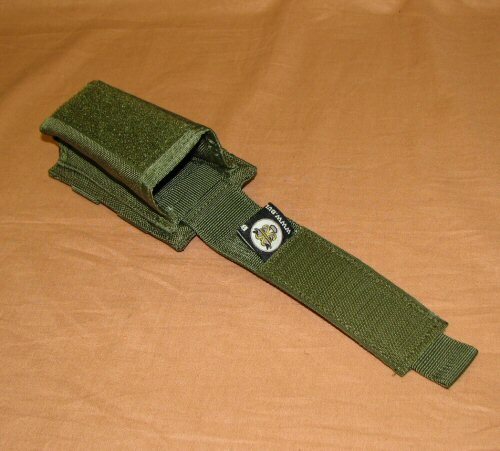 A single loop of MOLLE attaches this pouch to the vest or MOLLE base, allowing for shells to be deployed in spare MOLLE slots after primary spaces have been used. The pouch is made of 1000D Cordura. Price is for one pouch only. Angled view of interior of pouch, showing the adjustable velcro flap.